Consists of 2 pc 500ml containers with 18/8 stainless steel inner body. Can withstand hot and cold temperature, min. 0°C and max. 100°C. Keeps food warm up to 3 hours, depending on food temperature when placed in the stainless steel container. Convenient carrier handle, lightweight, modern and sleek. Safe to touch heat resistance exterior. 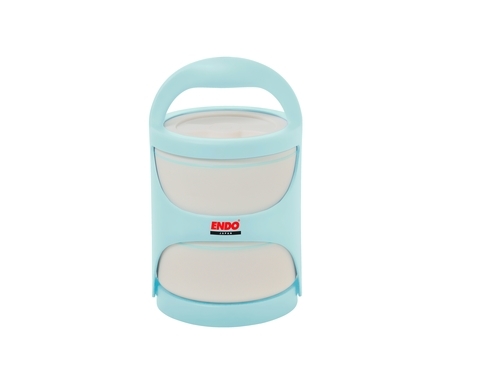 Comes with 2 plastic covers and 1 set of plastic fork and spoon which can be conveniently stored at the base of the carrier. Handle/carrier material: Food grade plastic. 100% food safe, hygienic and BPA free.